Janet Jackson attends the Black Girls Rock! 2018 Red Carpet at New Jersey Performing Arts Center on August 26, 2018 in Newark, New Jersey. 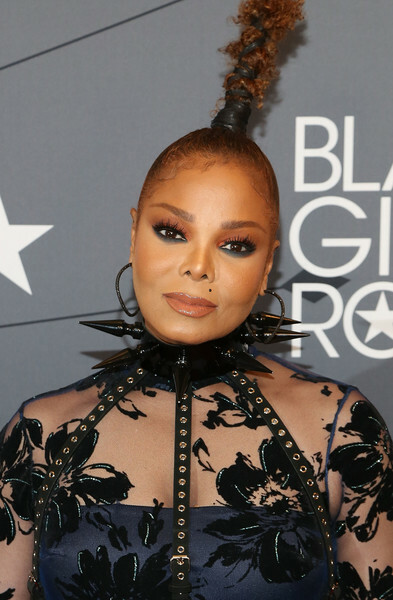 Janet Jackson gave her dress a heavy dose of edge with an oversized spiked choker by Kaimin at the 2018 Black Girls Rock! event.